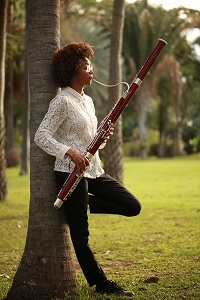 Baroque 2000's concert on November 6 features the KZNPO's newly appointed principal bassoon, Sandra Bailey, who will be the soloist in Vivaldi's concerto in A minor RV498. There will be two other works by Vivaldi on the programme, the concerto for strings in G minor RV155 and the sparkling Concerto of Paris RV114. The other compositions are by Locatelli: his Sinfonia Funebre (composed for the funeral of his wife), and Galuppi: the Concerto a Quattro No1 in G minor; his works of this kind point in the direction of the later classical string quartet. The concert starts at 11h00 on November 6 and takes place in the usual venue, the Church of the Monastery Mariannhill. Tickets R140 at the door and there is ample free and safe parking. The monastery tea garden will be open for light breakfasts and lunches. Enquiries to Michel at sursouth@iafrica.com or 082 303 5241. Baroque 2000 is sponsored by Die Rupert Musiekstigting.